Voters in East Baton Rouge Parish will go to the polls on Saturday, Dec. 10 to vote on five tax proposals, including one that would be paid entirely to a private, non-governmental organization. The money would go to The Bridge, which is part of the Baton Rouge Area Foundation (BRAF), a massive charitable foundation headquartered in Baton Rouge. 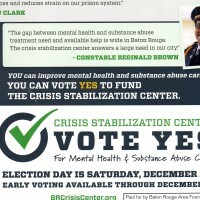 BRAF says it would use it to create an area at the Baton Rouge Detox Center on South Foster Drive to help those with mental problems. BRAF is not a government agency but rather a non-profit, non-governmental organization approved under Section 501(c)(3) of the Internal Revenue Code. As such, it is not supposed to engage in political activities. The board of directors of BRAF is not chosen by the Metro Council, nor does the Metro Council have any control over its activities. Currently, BRAF does not provide health care services or mental health care. It does donate millions of dollars to organizations and projects throughout the Baton Rouge area. Voters narrowly approved giving taxpayer dollars to another wholly non-governmental organization, the Council on Aging, in the Nov. 8 election. That tax was for $79 million in property taxes over a 10-year period. BRAF has more than $250 million in assets but it also owns a number of for-profit entities, including the Commercial Properties Realty Trust. CPRT is the largest owner of commercial property in the city and some properties in other parts of the country. Altogether, BRAF has more than $1 billion in assets. 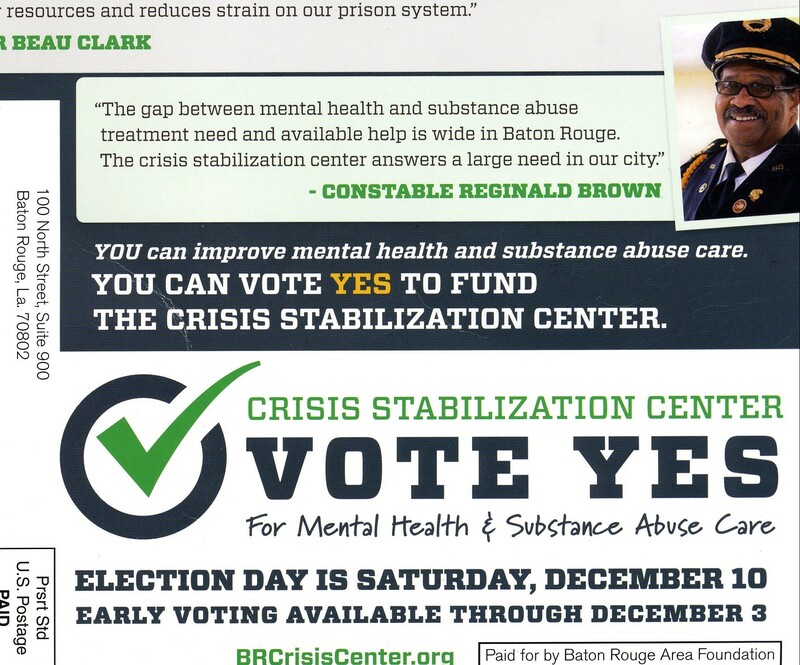 On Tuesday, voters across the parish received a mailing endorsing the tax increase. The mailing was sent from 100 North Street, Suite 900, the address of Commercial Properties Realty Trust. The mailing said it was paid for by Baton Rouge Area Foundation. Much of the wealth of BRAF came as successful Baton Rouge business owners gave some of their assets to BRAF. Over the years, it has become a powerful force in the community. BRAF has sometimes used that power to promote higher taxes and bigger government. BRAF was one of the forces behind the CATS tax and the so-called Fairness Ordinance promoting special rights for homosexuals and other groups. It has supported a range of tax proposals including the $1 billion riverfront proposal that voters twice voted down. On Sept. 14, the Metro Council voted to place the $60 million property tax for BRAF on the Dec. 10 ballot. BRAF executive John Spain lobbied the Council members on behalf of the tax. Only Council members Scott Wilson and Ryan Heck voted No. The BRAF board of directors includes some of the parish’s wealthiest citizens, and they have considerable influence in local government. In recent years, BRAF has been more and more aggressive in seeking government funding for its activities. The most recent project promoted by BRAF is the Water Campus on River Road, a wholly private, non-governmental project. The Metro Council recently voted to approve a $10 million bond issue to kickstart construction of a $170 million tram to run near the project from downtown to LSU. Federal grants would provide $136 million, and the local “contribution” would be $34 million. Another BRAF project, the IBM building, is benefiting from nearly $60 million in local, state, and federal funds. However, BRAF has never before asked to receive property taxes directly from the voters. • Luxury apartments at 525 Lafayette St. The BRAF tax has been endorsed by the Democratic Party of East Baton Rouge Parish and is opposed by the Republican Party of East Baton Rouge Parish.